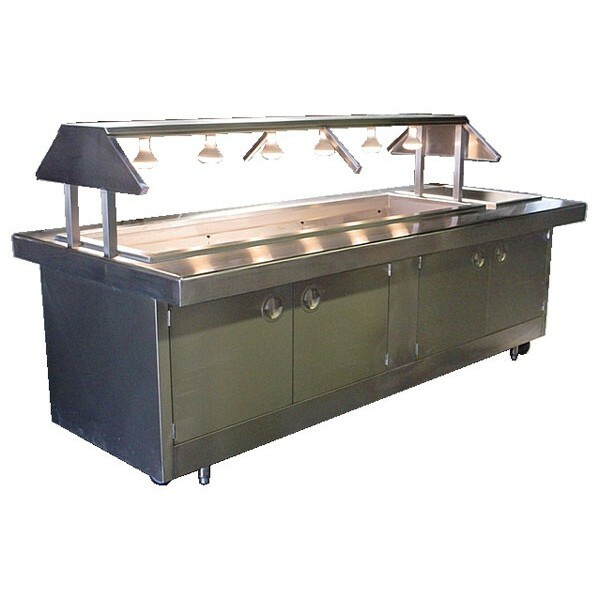 AllStrong custom stainless steel Buffet Style Steam Table is designed to be versatile and flexible in today's hotel and restaurant food service applications. Built specifically to meet broad-based food presentations and serving environment. Top is constructed of type 304 stainless steel with 4" formed down at all edges. 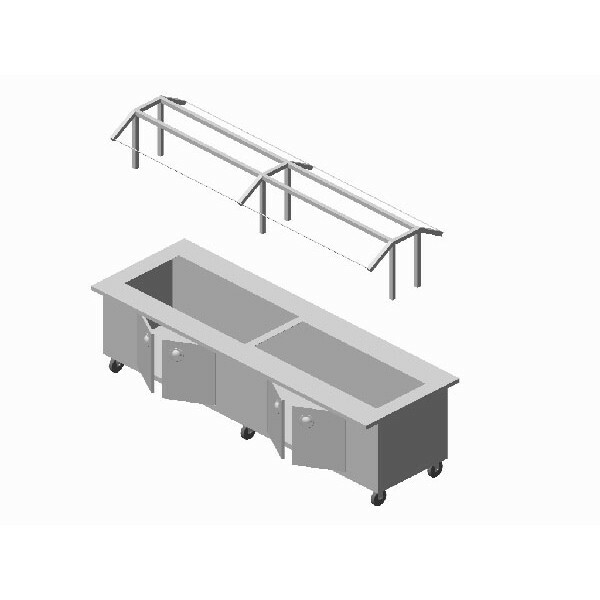 Each top opening is fitted with stainless steel removable spillage pan, available in table type or drop-in style as standard feature equipment. Exterior body is constructed of type 304 stainless steel complete with enclosed doors for easy access and cleaning. Well selections are available from two to eight pans. Heater control modules are available in gas or electric. Custom Sneeze Guard with Infra-red lamp configurations is available as an option. · Top and body are constructed of 16 gauge 304 series stainless steel. · Standard pan size 12" X 20".